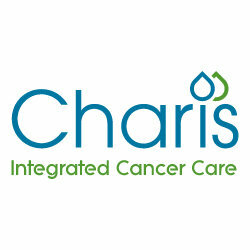 CHARIS is a charity providing a unique concept in integrated cancer care. Situated in the beautiful scenic location overlooking the tranquil shores of Lough Fea, Charis is a haven of retreat for people who have been diagnosed with cancer. CHARIS provides a non - clinical settting that is designed to compliment clinical treatments for cancer. Body therapies and other services are provided free of charge. Provide free of charge counselling, complementary therapies, dietary advice and financial advice for people who's lives are affected by cancer and those closest to them. An individualised programme of therapies is arranged to complement treatment and care given by hospitals and cancer centres. By providing the full suite of complementary therapies under one roof in our purpose built building, we offer an integrated and client focused approach specifically to each clients needs. Our facility has been developed and adapted entirely for the needs of those diagnosed with cancer, families and supporters.